Curacao, a Los Angeles-based department store, is making its Las Vegas debut this fall. 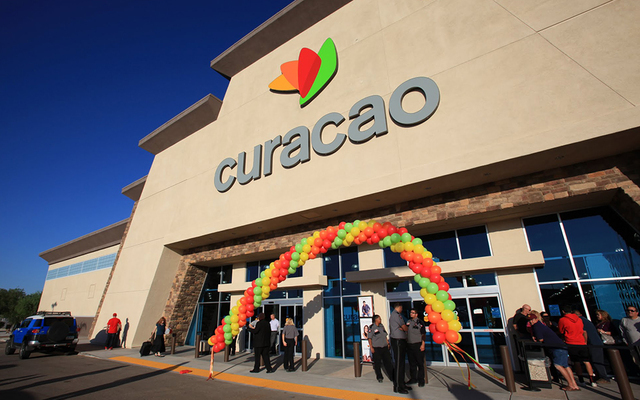 The 12th Curacao store will open at Meadows Mall at U.S. Highway 95 and Valley View Boulevard. It boasts electronics, appliances, furniture and home décor as well as products for children and babies, jewelry and watches, eyewear, handbags and beauty products. In addition to its retail store and website, Curacao also offers services such as travel arrangements, money transfers, export services for those who want to send products to family and friends in Mexico and Central America, and proprietary credit. The brand, which has 11 locations — two in Arizona and nine in California — is known to celebrate Hispanic culture and its employees speak English and Spanish. 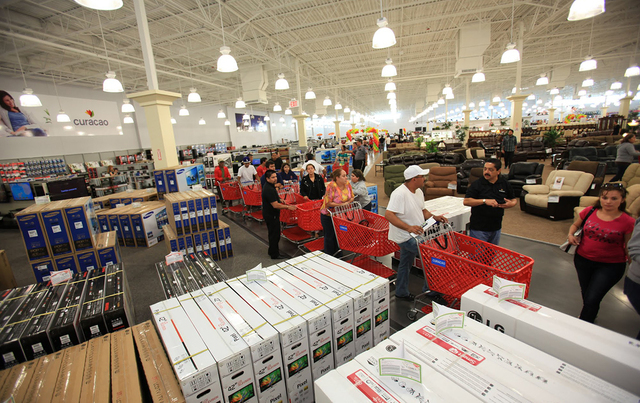 Peter Guzman, president of the Las Vegas Latin Chamber of Commerce, said he’s very excited to welcome the 10,000-square-foot store to the Meadows Mall. The addition to Meadows Mall could mark one of the first steps in revitalizing the nearly 40-year-old shopping center. 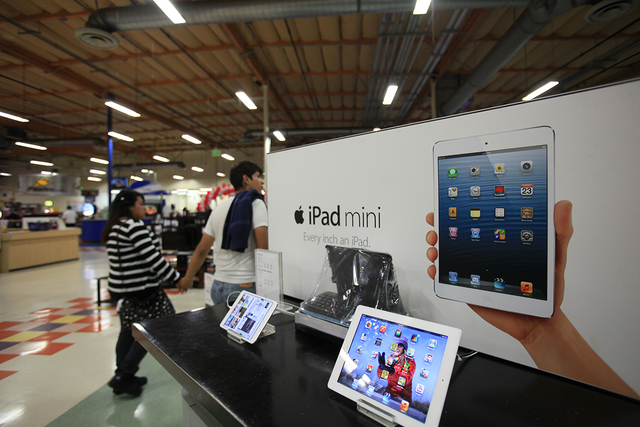 Guzman said that Hispanics are very brand oriented and many of them are already familiar with the brand. Hiring for 150 full- and part-time employees began on Aug. 13. Guzman said he’s looking forward to the impact Curacao will have on the Las Vegas community. Las Vegas Latin Chamber of Commerce Chairwoman Maggie Petrel agreed with Guzman that job creation is a huge benefit for the valley. “Their clientele is geared toward the Hispanic community, so being the chairwoman of the Latin Chamber, I like to see more business opportunities and more opportunities for employment coming to our city,” she said. Petrel added that she hopes Curacao gets involved with the community. 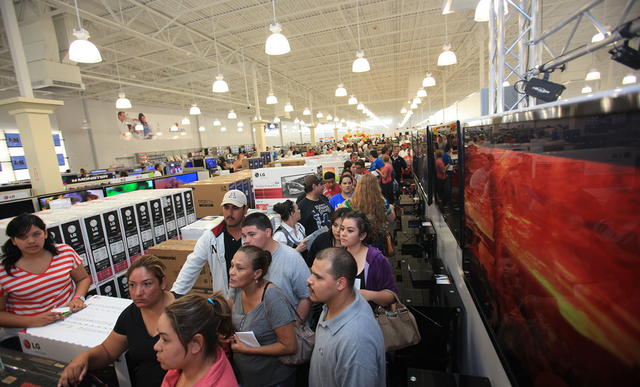 Last year, Sansone Cos., which owns Las Vegas’ oldest shopping mall, Boulevard Mall, which was built in 1968, spent $25 million to bring it into the 21st century. Aside from improving the façade to Boulevard Mall, the company added new restaurants and new lighting and landscaping to the property.